Adaptor includes universal ring which enables fitment to external threads. Swivel joint provides easy rinsing. Produces aerating – champagne effect. Made from strong carbon fibre plastic to dismantle during filter cleaning and for new assembly of aerators. 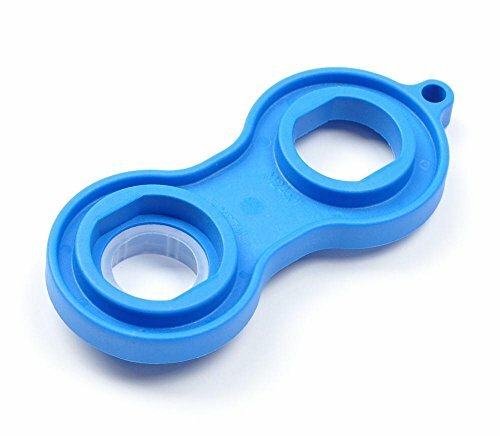 For easy assembly of bead blasting on standard water taps. Prevents scratching of chrome steel water mixing nozzle sleeves. 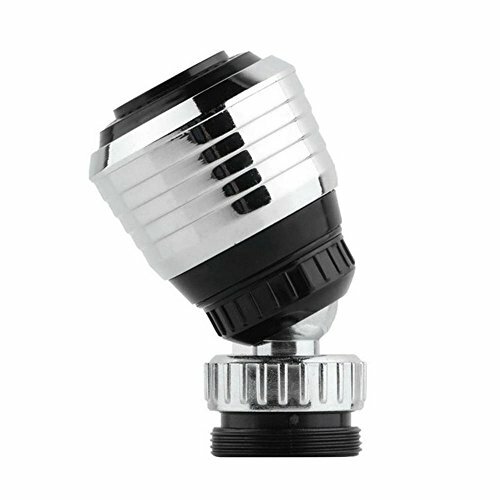 Quality Kitchen Tap Aerator (tap end) – stops wasteful splashing taps. Easy to fit – simply unscrew your existing tap regulator and screw this on! 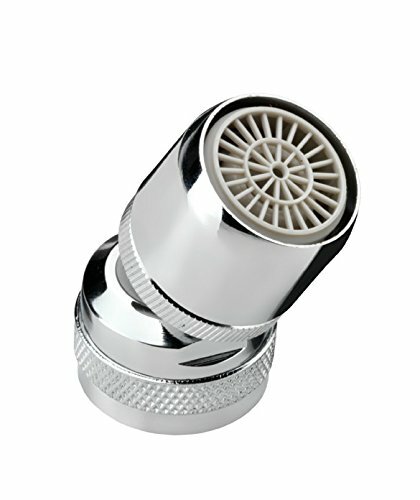 Comes complete with a Female 22mm Adaptor (collar) which you simply unscrew if you require the 24mm Male tap aerator. 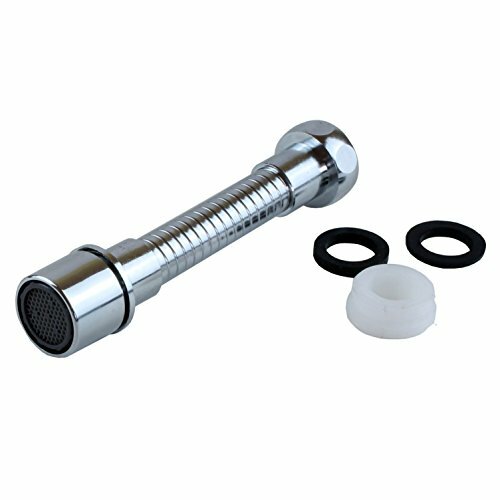 Kitchen tap aerator & regulator, fits a 24mm Male internal thread AND also fits a 22mm Female external thread – comes complete in a quality brass casing (chrome in colour). A brilliant product which prevents unsightly, messy splashing & wasteful dripping – your tap will be like new in just 2 minutes – no need to replace your whole tap! Save up to 50% on your water usage and reduce your water & energy bills – and you’ll probably even reduce the amount of washing up liquid / detergent you use too! The flexible hose allows use in corners. High degree of water saving through addition of air. 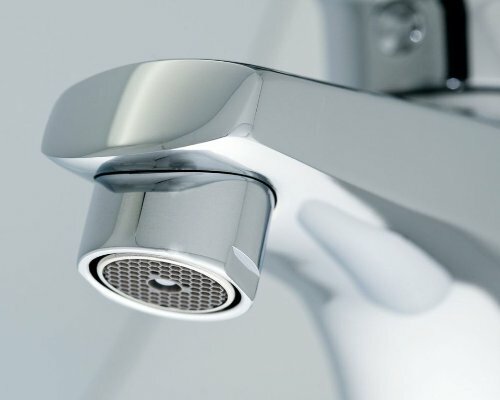 Thanks to a reduction of water flow on and addition of air, a water saving of up to 60% is achieved. 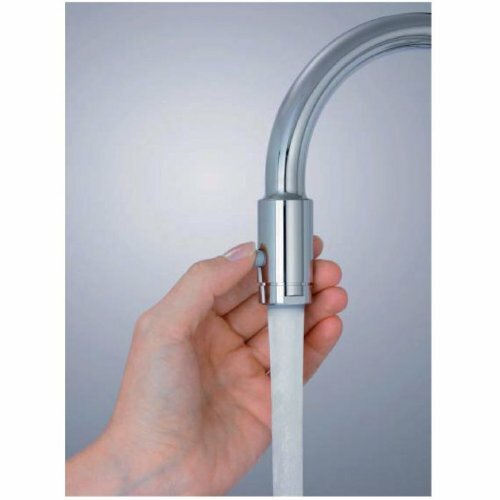 Superb Kitchen Tap Aerator with “half & full flow” features – simply push the button for full flow perfect for filling kettles! 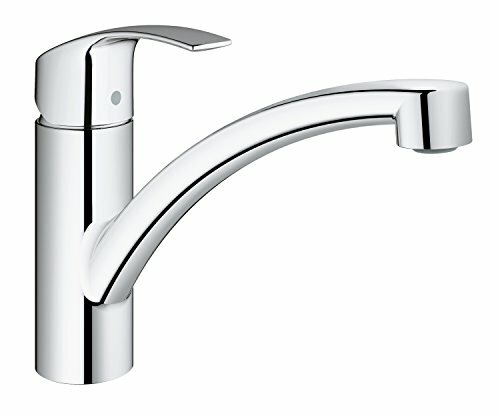 Default setting is half flow ideal for rinsing and washing hands. Suitable for medium to high water pressures. Create a perfect non splash water stream. 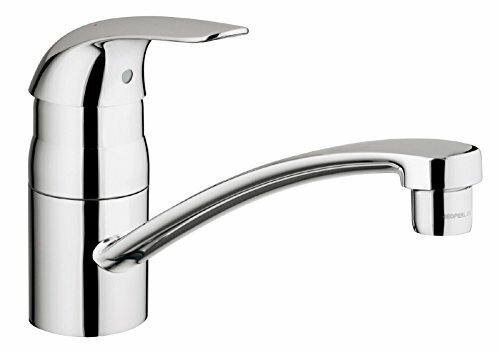 Make your tap feel like new – don’t buy a new one! 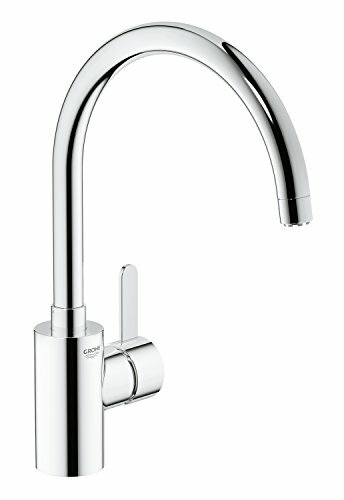 A brilliant water & energy saving product which improves your kitchen tap! Easy to fit – simply unscrew your existing kitchen regulator and replace with this new one!